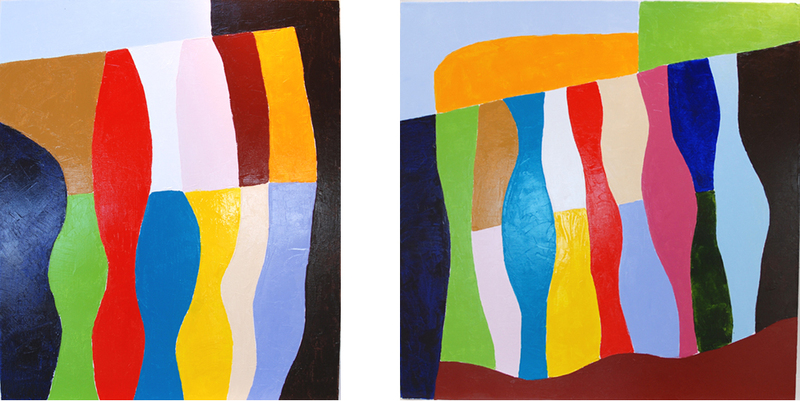 A couple of the larger new abstracts have headed South for a new life to inspire creativity in an engineering firm. Rhythm and Pastoral. 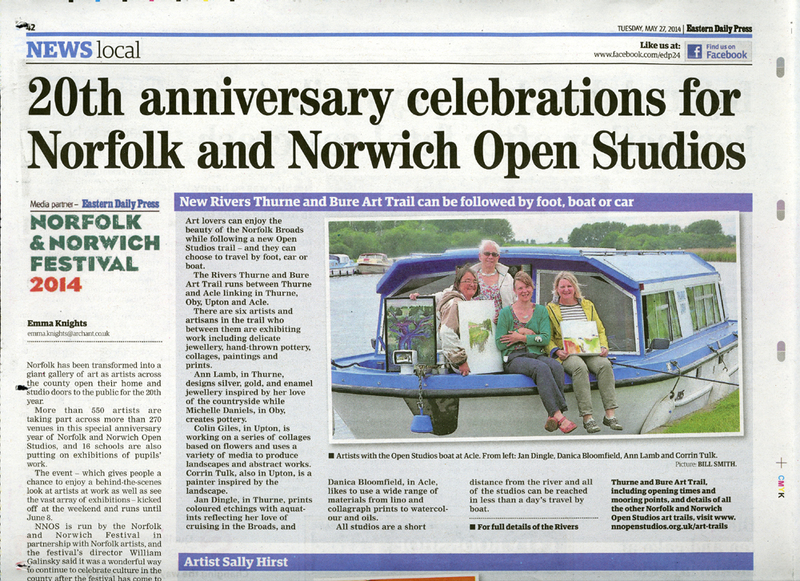 The local Norfolk newspaper has featured us in the Opening celebrations for Norfolk Open studios 2014. It was lovely to see the first visitors at the weekend. Quite a few came by bike! Some by boat and most by car. All turned up with our trail map in hand. The garage is in action again this year, featuring the new Indigo series. 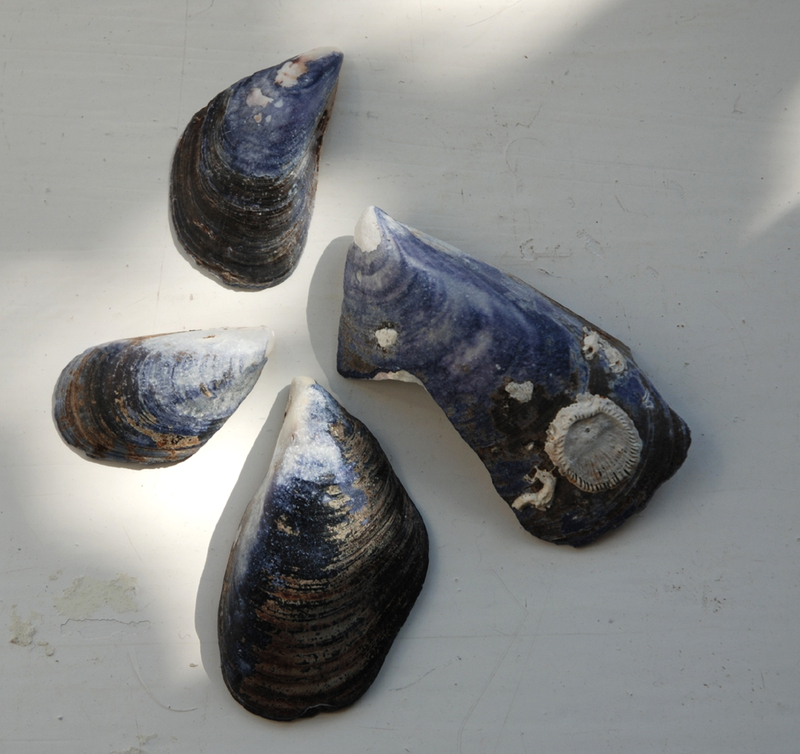 They were inspired by beautiful sea shells from Carcavelos in Portugal. 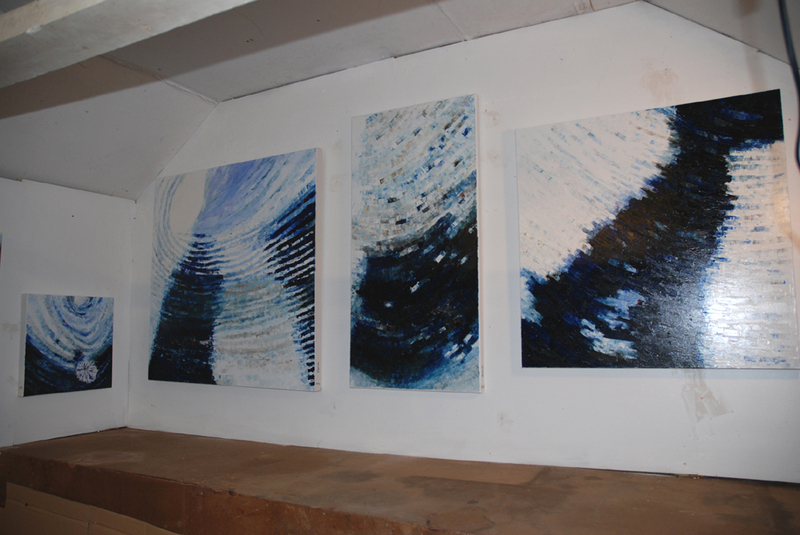 The indigo series is featured on my website too. A warm welcome awaits if you make the journey out to East Broadlands! The garden is blooming gorgeous. The studio is taking shape. There are plenty of new cards and lots of the old favourite pen and inks and floral paintings too. Also added a new picture rail to the hall for more hanging space. 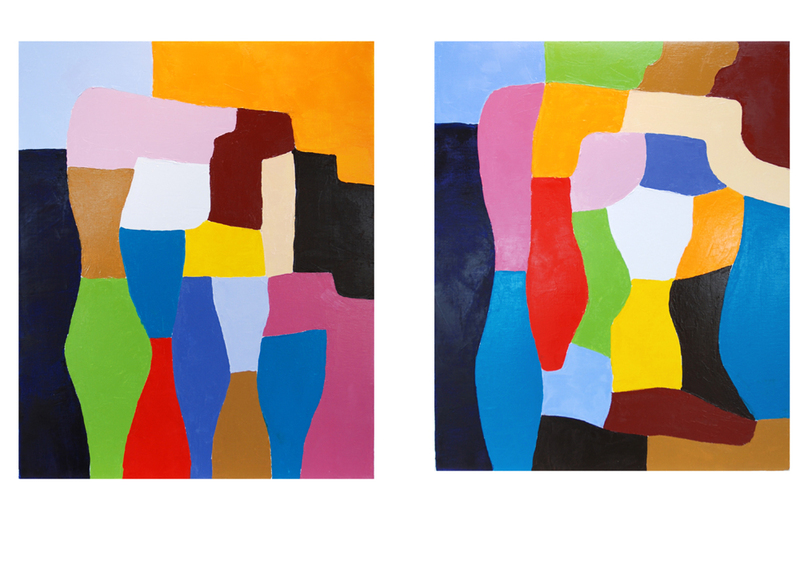 The two on the left have sold now. 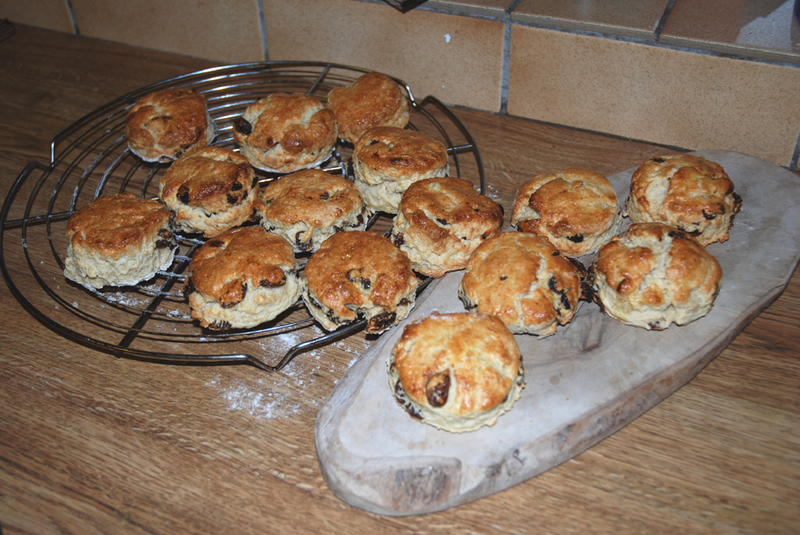 Since I am serving cream teas (self-serve at busy times) I tried a batch of lemon and sultana scone recipes from a famous Norfolk recipe book, Margaret’s Recipes from her tea rooms. Yummy, anyhow you be the judge, I want to try a few other flavours like hazelnut and banana, cheese scone and of course simply plain with jam and clotted cream. Once you have finished here you can continue on your your journey via other local artists, Colin Giles and Danica Bloomfield or via local pubs, The White Horse or further afield at the Bridge Inn at Acle and head over to Oby and Thurne to visit the others, Ann Lamb, Michelle Daniels and Jan Dingle on our Water trail. (Of course you can walk it or drive it too!) But you can take advantage of Herbert Woods offer of 10% discount on day boat hire at Potter Heigham by mentioning the art trail. 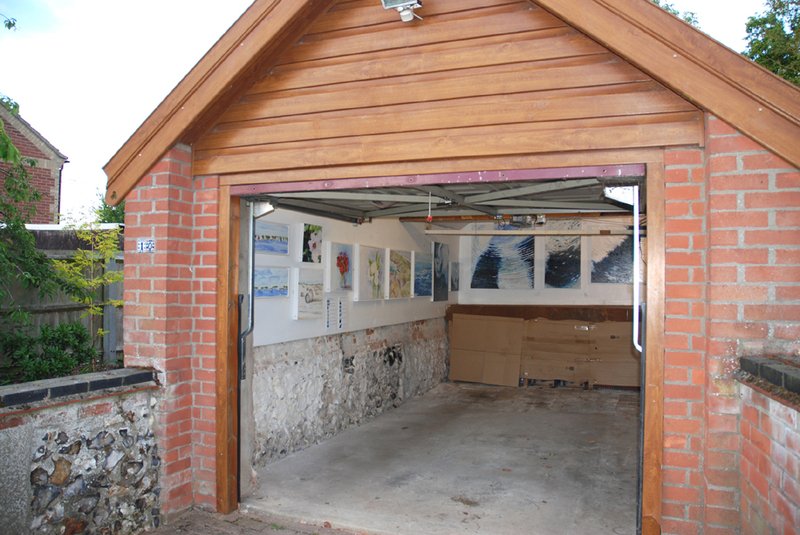 Please visit this light and airy Atrium space to get a flavour of local artists work. The address is Spencer Avenue North Walsham NR28 9HZ. 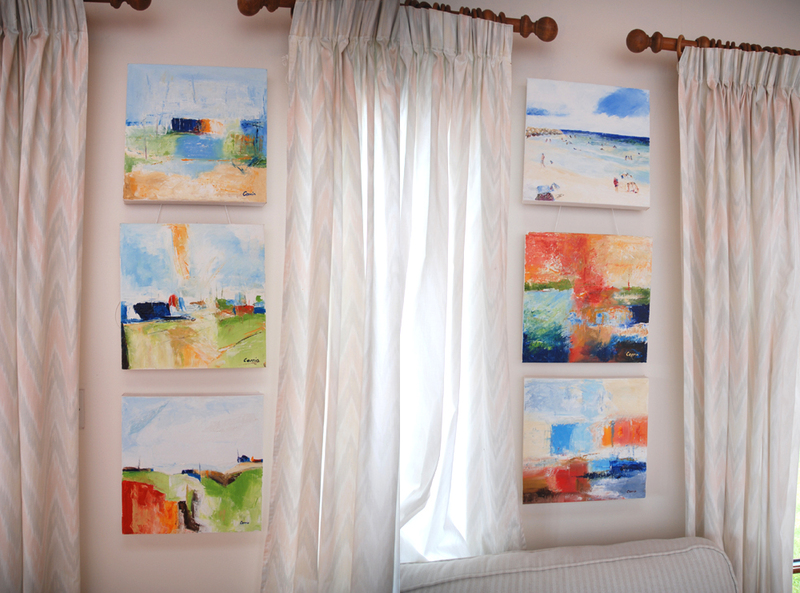 The principle is you get to see 2-3 pieces of work from each artist in the Broadland and North Norfolk area to help you decide which studios to visit in the forthcoming Open studios, starting 24th May 2014. My selections are Plentiful and Walkabout. Both measure 51cm x 41cm. More information on my website.